Had my Jaguar XF 2.2 ltr diesel remapped by Tony. A great guy with a wealth of knowledge. He even gave us a lift to a local pub whilst he carried out the work. Noticed the difference in performance immediately and the difference in economy by the time I got home. Very happy. Thanks very much. Had my XJ JAGUAR remapped by Dave, turned up on time and got straight on with the task in hand and a coffee in the other. A professional and experienced engineer who answered all my questions I was well chuffed will the improvements , thanks Dave overtaking a breeze when summoned to highly recommended. Well respected amongst Jaguar owners of many models. Prompt response to all questions and happy to give advice on next steps. Had my XFS remapped and the difference is very impressive. Money well spent. If you are in doubt Tony is the man to speak to. Had my x type jag remapped buy delta performance and i was over the moon with what they achieved. The car is faster, smoother, more responsive, also has much more even tourqe accross the rev range and hopefully will be better on fuel too. The guy who mapped the car was very professional and a nice guy to talk too. 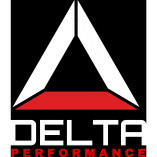 Would highly recommend anyone to get a remapp done at delta performance. Awsome value for money. Thanks again for the product and service! We've now had 4 cars remapped and another one within our family. Really pleased with the results, exactly as advertised. Superb customer service. Hugely knowledgeable. Very much recommend. I have used Dave many times and he always provides me with the best service.